Few crossovers can handle the road as well as the 2018 Subaru Forester near Kansas City. The famous all-wheel drive is ready to help you with mud or sand. The cabin comes packed with the entertainment features you want and the helpful technologies you expect. You will find the SUV at Briggs Subaru serving Topeka Lawrence Kansas City. Be sure to consult with us about specials to Kansas City shoppers. Built with quality, it is no wonder that Foresters command high resale values. Earning their keep from day one, value-rich trims make it easier for shoppers to find the right fit. With the 2018 Subaru Forester 2.5i edition, shoppers enjoy a 6.2-inch touchscreen. Smartphone app integration is complemented by HD radio and USB connectivity. You also get a rearview camera to keep you out of fender benders. Stepping up to the 25i Premium nets you a panoramic sunroof to give you spectacular views of the sky, cityscapes, and majestic mountains. This edition comforts the driver with a power chair and pampers the backseat riders with reclining seats and a rear armrest. Automatic climate controls let you maintain the perfect temperature more easily. For a leather-clad interior, you can choose the 25i Limited. For something even fancier, you can choose from the 25i Touring or the 2.0XT Touring. When winter weather gets you down, there's a heated steering wheel and heated front seats. The Forester is definitely a utility vehicle. It has a large cargo hold for your gear and can split-fold the seats to let you claim more space. On the higher editions, you can get a one-touch folding rear seatback and a power liftgate. These features definitely simplify cargo hauling. Built tall, the crossover claims a healthy 8.3 inches of ground clearance. This year Subaru enhanced its hexagonal grille and added LED accent lights. The 25i Premium wears a rear roof spoiler. Among the revised wheel designs, you'll find many alloys to reduce the unsprung body weight. This is just one of many ways that the new Forester has been made more aerodynamic. There are many important exterior aids including heated side mirrors, foglights and automatic headlights. Your high tech lights can include adaptive capability, adjusting the beam to better match the crossover's trajectory. High beams can be automatically raised or lowered. When you test drive at Briggs Subaru, ask about specials to Kansas City. As a dealer serving Topeka Lawrence Kansas City, we have a selection of the 2018 Subaru Forester for sale every day. The 2018 Subaru Forester near Kansas City has asymmetrical all-wheel drive. This proven feature seeks to achieve balance and traction without sacrificing handling or competitiveness. The system can keep reduce the threat of snow, ice and other traction challenges. On the slickest surfaces, drivers can choose the X Mode. This moves torque to the back wheels with grip. To reduce the dangers of downhill travel, it also has hill descent control. 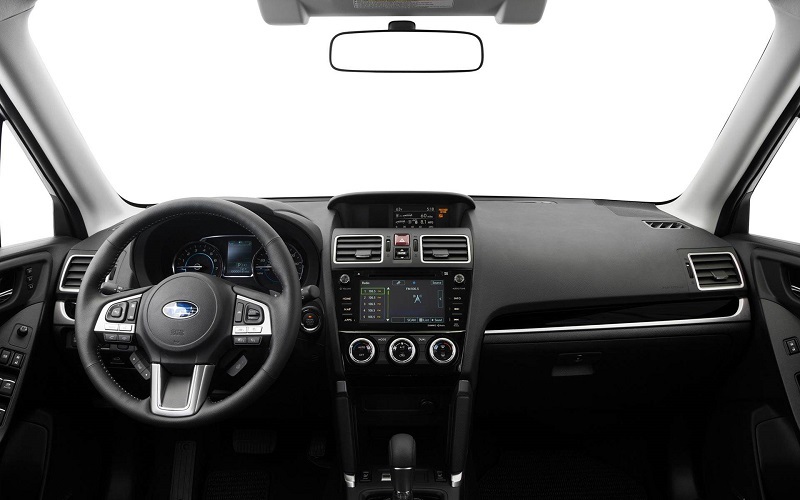 Subaru recalibrated steering response, improving handling by making the crossover more responsive to driver commands. A four-wheel independent suspension helps the driver feel in touch with the road while it smooths out the bumps that trouble passengers. Two boxer engines are in the line-up. A smart four-cylinder engine kicks out 170 horsepower. An even smarter four-cylinder turbo acts like a V6. It generates 250 horsepower and 258 lb.-ft. of torque. If you put the 2018 Subaru Forester head to head with its competitors, you'll find that it is a leader in AWD fuel economy. The standard engine earns a remarkable 32 mpg highway. The turbo earns a healthy 27 mpg highway, making it one of the better earners in its class. If you love to do the shifting, you can choose the six-speed manual. If you prefer to relax a bit, you can enjoy the linear continuously variable transmission. EyeSight has expanded, updating its features and upgrading its cameras. The 2018 Subaru Forester near Kansas City offers some systems that few rivals do. This includes the reverse automatic braking feature. When you are backing up, the car may stop itself before a fender bender can occur. It's always nice to have extra help when making a tricky maneuver. Likewise, warning systems can alert you to rear cross traffic or cars in your blind zone. Other warning systems respond to lane departures or forward collision dangers. To even out wheel speed on curves, Subaru uses advanced brake-based torque-vectoring. 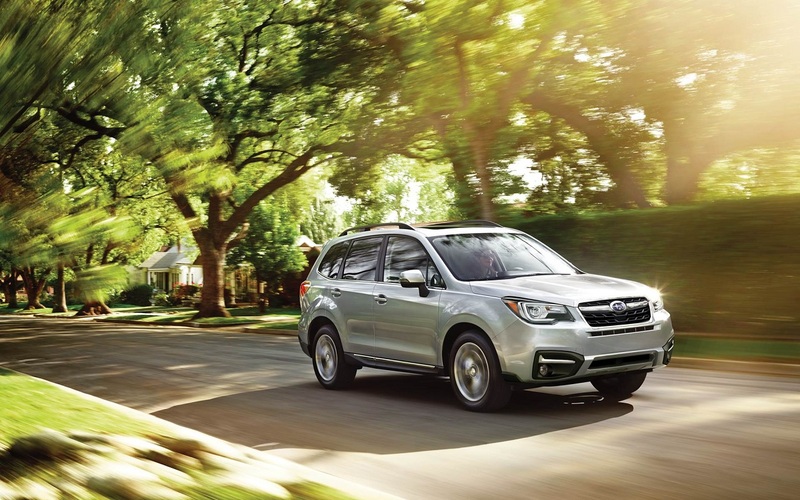 A five-star federal safety rating and a private industry Top Safety Pick Award demonstrate that the Forester can protect its occupants. This is just one of the many reasons that the SUV has earned a Top Resale Award from Kelley Blue Book. 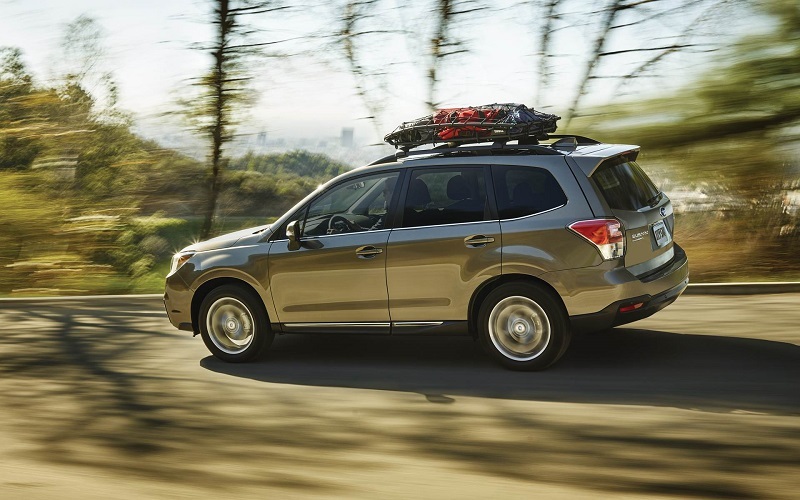 Serving Topeka Lawrence Kansas City, Briggs Subaru is your home for Forester specials to Kansas City. Stop by and take a look at our large selection. You are sure to find the right color and trim to suit your personality.